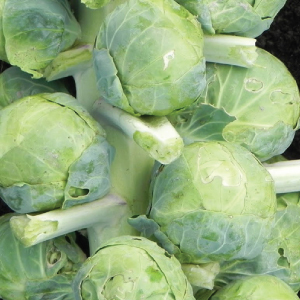 Brussels sprouts, Brassica oleracea, are sometimes referred to as mini cabbages. 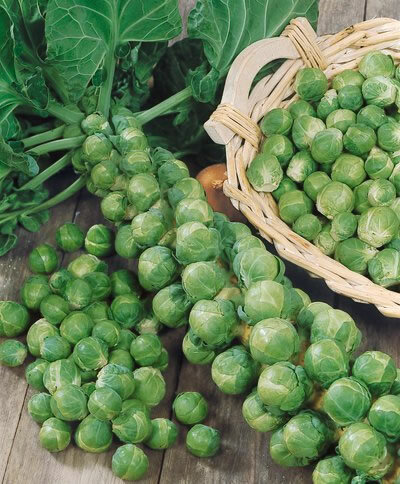 They are a great source of protein, fiber, vitamins, minerals, and antioxidants. 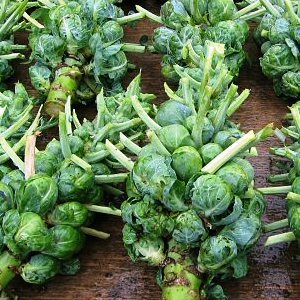 Brussels Sprouts are easy to grow, take up little space and are falvorful raw or cooked. Most varieties can be frozen for long storage. 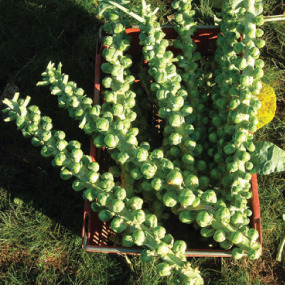 Brussel sprouts can be grown in both spring and fall but give best results during a fall harvest.